Map and satellite picture of area. Nearest Stops: Wentloog Road, Carpenters Arms on Newport Road. 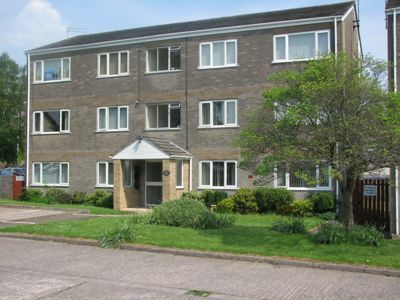 First floor flat in suburb of Cardiff. Located in a very quiet cul-de-sac. The flat is designed for the modern lifestyle. Laminated floors to bedrooms, hall and lounge. Fitted kitchen with modern conveniences. Allocated parking. Communal rear garden with rotary clothes line. Close to amenities and conveniences. 3 minutes walk to local primary schools and 15 minutes to secondary schools on Newport Road.There are leisure centre, parks and childrens playgrounds nearby. Bathroom with electric shower over bath. Hot water from electric immersion tank. 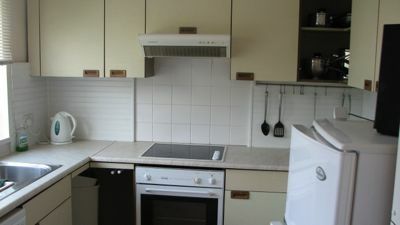 Fitted kitchen with ample storage space, Fridge/Freezer, Washing machine,, electric hob and oven. Off street parking to front of flats. 5 mins walk to children's playground and playing fields. 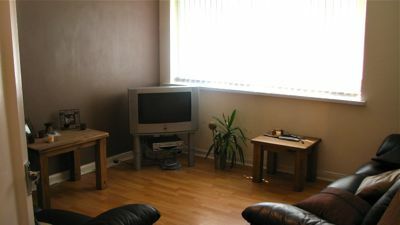 5 mins walk to Eastern Leisure Centre with leisure pool and many other recreational facilities. Find out more on Rumney and Llanrumney. Protect yourself against theft and accidental damage to your possessions and landlords property. Receive an on-line quote from Endsleigh. See how much you can save on a wide range on insurance cover including Tenant Contents, Car, Travel and Bike Insurance.